Grant and I used to fish. We used to go out "fishing" on date nights. 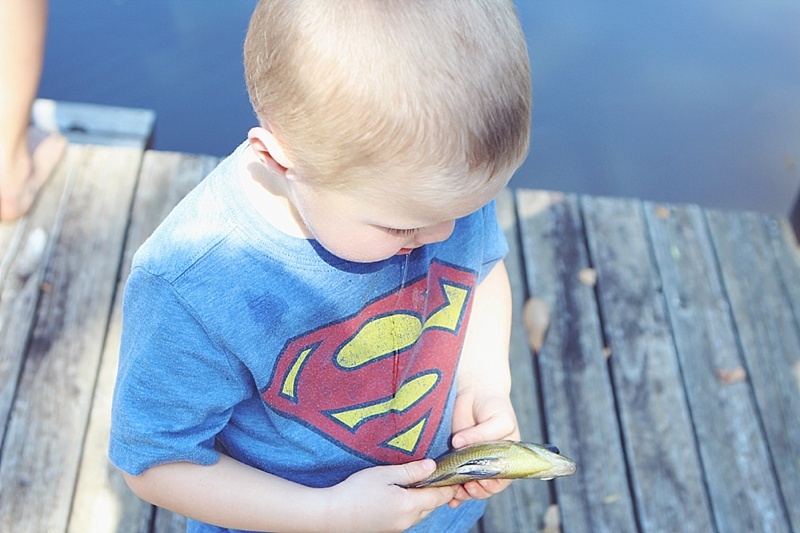 I grew up fishing with my family and never realized the sacrifice it takes to fish with kids. One day we may actually be able to fish again but today I rejoice in my daughter's fishing abilities she's 6. We spent Labor Day at the Dawkins place and my daughter spend the day on the dock. Grant hooked her up with a cane pole and the rest was all her. 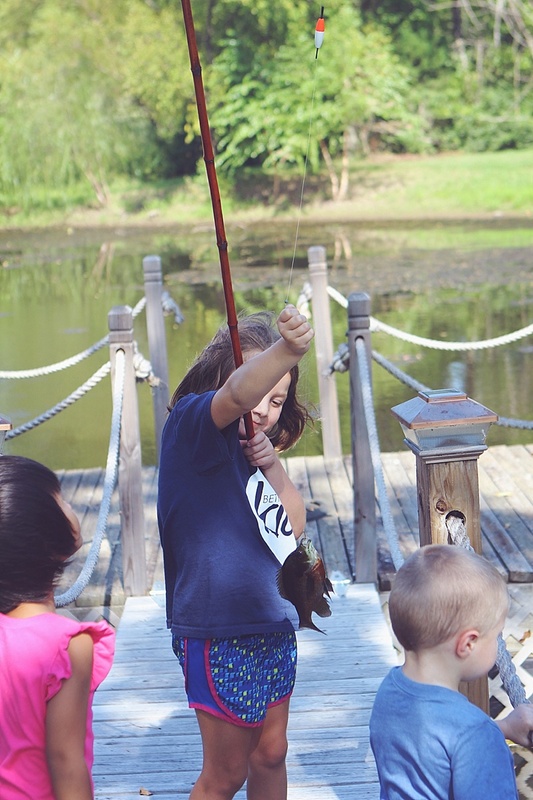 She baited the hook herself and put it in the pond always looking for just the right spot. And sure enough she caught most of the fish that day. 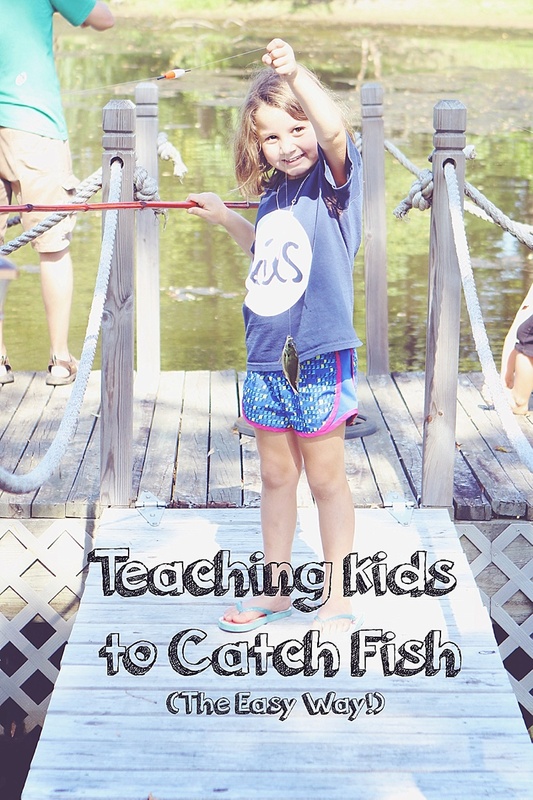 We have tried the kiddie fishing rods; and while the Disney characters are all cute and fun you will spend more time fixing the rod than actually fishing. 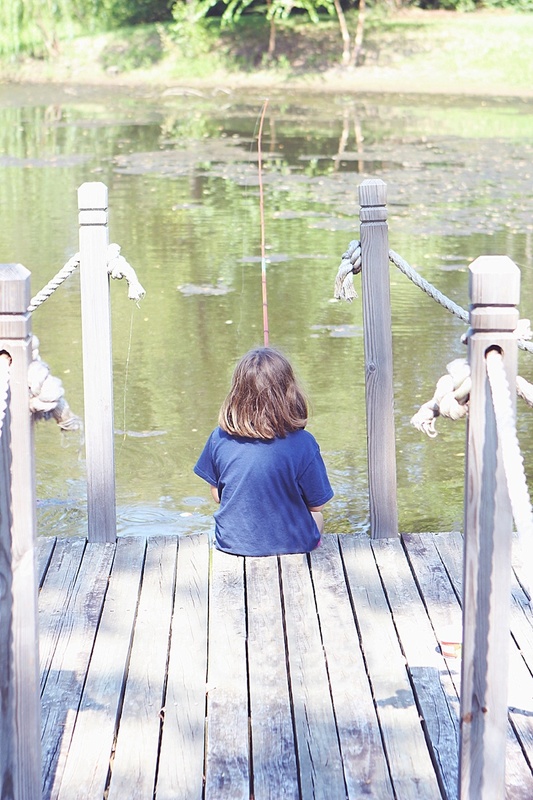 The child will get bored while you are fixing the rod and will end up swimming or throwing rocks. Trust us on this one! The cane pole is really the best. There is no reeling, no overhead casting, no tangles, just catching fish which is the fun part! The younger boys were waiting eager to "hold and throw back" the fish their Sissy caught. Another cane pole is on the list for Jack since he is old enough (just turned 5) to fish on his own this way too! Each stage has their moments. They were so proud of themselves for holding the fish and being able to throw them back! If you know in advance you will be fishing then go by Walmart and pick up a small container of worms (keep them in the shade to keep them alive long enough to serve their purpose). A small tiny hook will do the job. 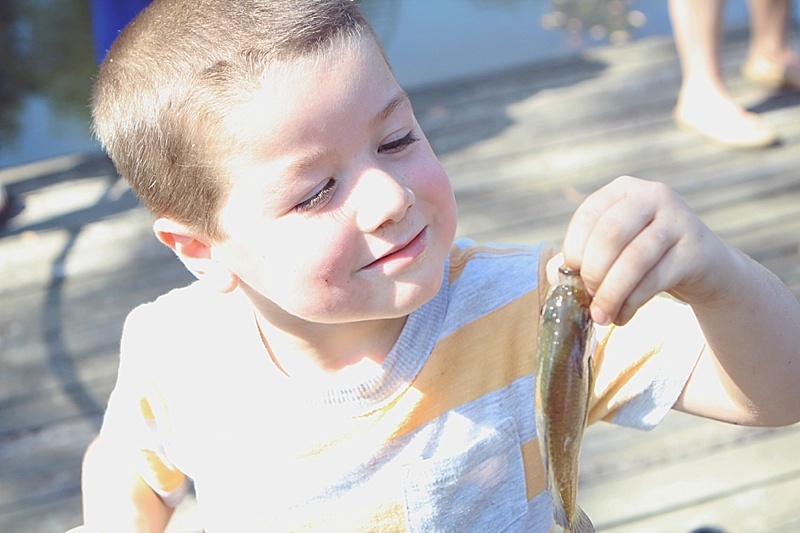 Any fish is exciting for this age and looks huge in their small hands. Grant put a small bobber on the line so she would know when the fish is taking the bait. Then we left her to figure it out. She was so proud of herself and we were so proud of her!!! !